Accidents happen, I know! Especially with electronics, and electronics are not cheap. 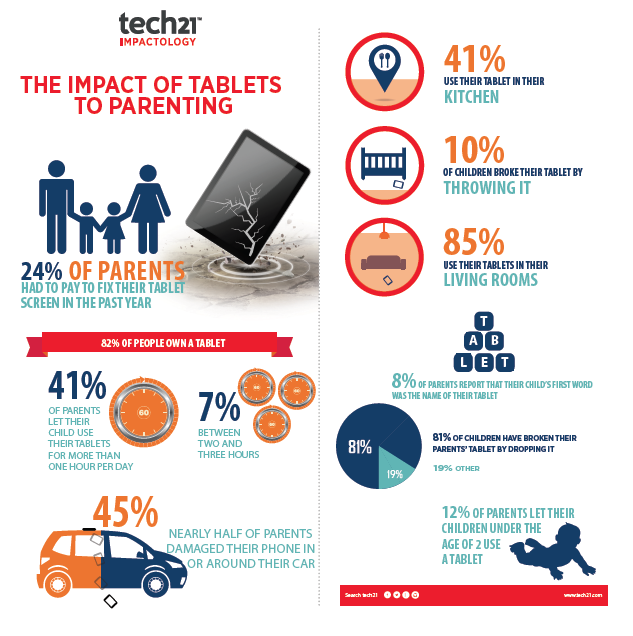 Did you know that nearly 1 in 4 parents have had to pay to have their tablet screen fixed in the past year? Tablets are not cheap, neither is fixing them! Protecting you tablets is important and Tech21 - the leaders impact protection for smartphones, tablets and laptops is helping you do that! They have a whole line of cases, designed to help you protect your electronics and save you money! Considering that 14 percent of us parents confessed that we use our tablets in the restrooms - we need to protect ours also! Tech21 cares so much about protecting your electronics they are allowing me to GIVEAWAY an Ipad Impact Folio Case for you to try! Enter to Win below - remember you can enter daily! Good Luck!